Crushing in pneumatic presses, fining of the must and refrigeration. Regulated fermentation in tanks. Very pretty pale yellow color with bright green reflections. The nose is full of freshness, with floral notes (hawthorn, vine flower) with fruity aromas such as citrus (lime), peach and sweet spices. On the palate, beautiful balance that combines freshness and roundness, mineral and fruity notes with a long aromatic and tasty finish. 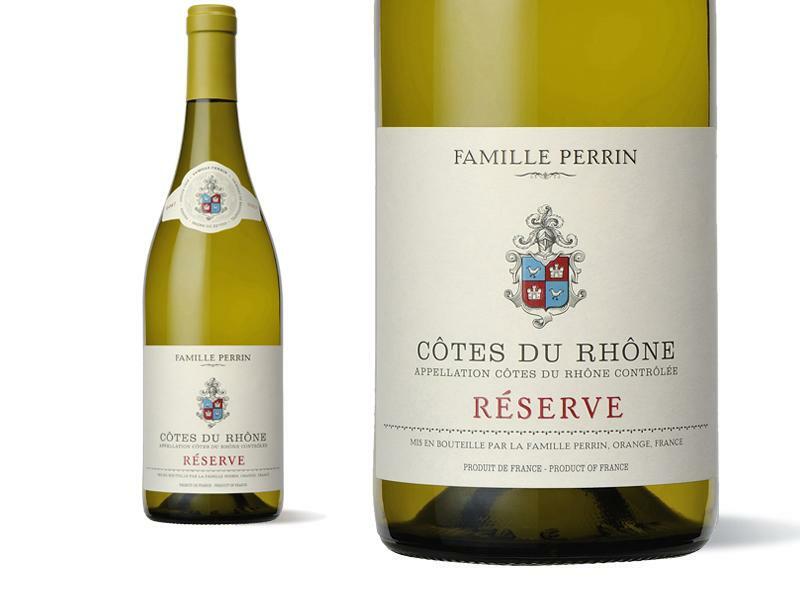 "The tangerine-scented 2017 Cotes du Rhone Blanc Reserve is a plump, medium-bodied blend of Grenache Blanc, Marsanne, Roussanne and Viognier. It's round and easy to drink, with just a bit of citrus zest on the finish to give it life and lift. Drink it over the next year or so." "A blend of 30% Viognier, 20% Grenache Blanc, and the rest Marsanne and Clairette, the 2017 Côtes du Rhône Reserve Blanc has a stony, mineral style as well as plenty of citrus, hints of tangerine, and mineral notes. It's balanced, juicy and lively, with plenty to love." "A very fresh style, with honeysuckle, quinine, white peach and star fruit notes streaming through unencumbered. Drink now through 2019."